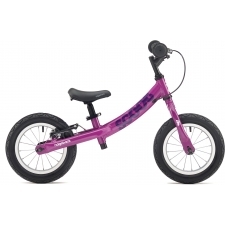 Balance is quickly learned without the distraction of pedaling. The transition between walking, freewheeling and steering is simple. 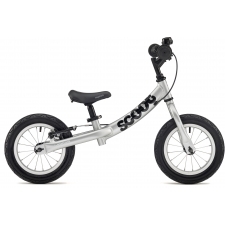 The Scoot's rear brake establishes early understanding of how to slow down. Once balance is mastered, its then just a small step to move onto a bike with pedals without the need for stabilizers. 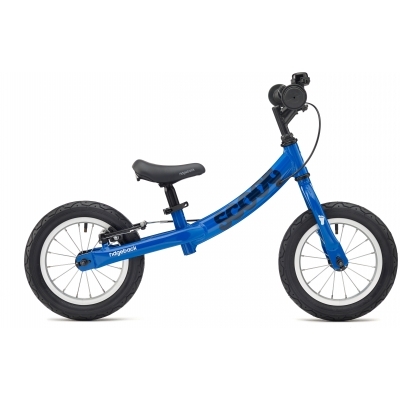 Buy your Ridgeback Scoot Beginner Balance Bike, 12in wheel, Blue 2018 from Revel Outdoors.